Since 2001, WOLF has been the leader in providing professional development opportunities that reflect the changing requirements of forestry professionals and those working in related industries. As your work continues to evolve, so does our ability to deliver outstanding programs to meet your needs. WOLF is excited to announce 12 professional development opportunities for people interested in forestry. Designed by industry professionals, these courses are available when you are. Our user-friendly, online learning system allows you to upgrade your skills and get the credentials you need – ANYWHERE you have internet access, and ANYTIME that works for you. Through the support of our Foundation and partners, these courses are being offered to Alberta residents for an incredible $44 + GST per course* – an amazing value for this type of professional development. Registration is easy and convenient. 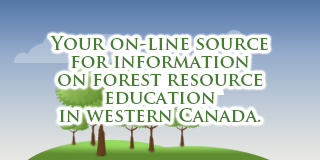 If you already have an account, Go to Learn.coolenforestry.com and log in. Once you are in, either way, look under the “TO DO” tab and purchase any of the courses you want.